Andrew Ivankovich and his team specialize in the disposition and acquisition of STNL properties nationwide. Andrew leads the Carl’s Jr. and Hardee’s sector of Matthews Retail Advisors; having one of the largest national market shares for QSR transactions with his team. Andrew’s extensive network of clients ranging from private investors to the largest global corporate restaurant companies, publicly traded REITs, private equity funds, franchise operators, and developers allows him to benefit his clients by strategically positioning them with the most active pool of buyers and sellers. 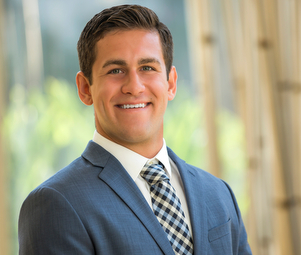 Andrew uses his attention to detail, unrelenting determination, and proven work ethic to find his clients the most lucrative investment properties on the market.